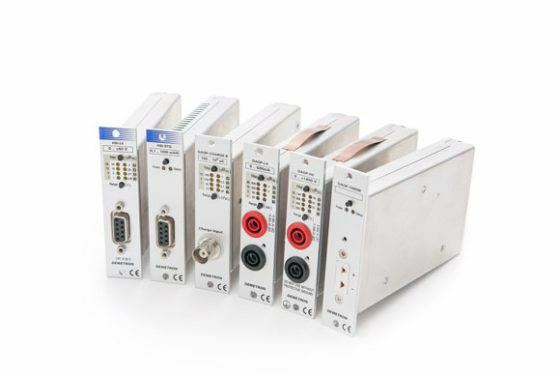 DEWETRON offers a wide range of analog, isolated signal conditioning amplifiers, suitable for a wide variety of sensors, including strain gages, accelerometers, force sensors, pressure, load and flow sensors, thermocouples, as well as voltages and currents. 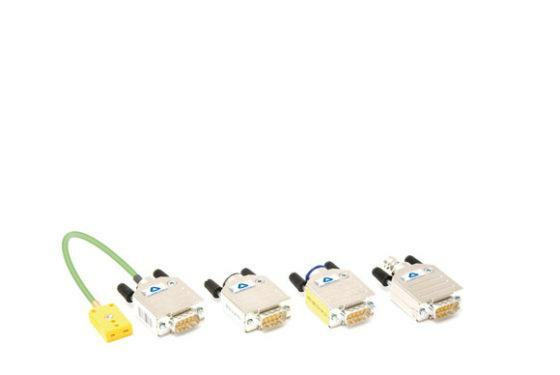 Highspeed TRION3™ signal conditioning modules provide analog-digital conversion on each channel and are user exchangeable. Use TRION3™ modules with each measurement system of the DEWE3 series. 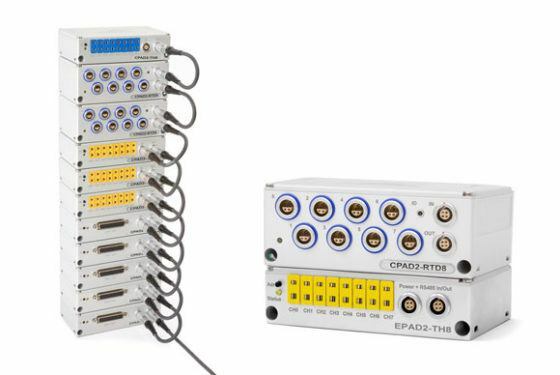 The user exchangeable, multichannel TRION™ modules provide analog-digital conversion on each channel. External, multichannel modules combine analog signal conditioning and A/D converter in an extreme rugged box – CAN or RS485 interface. 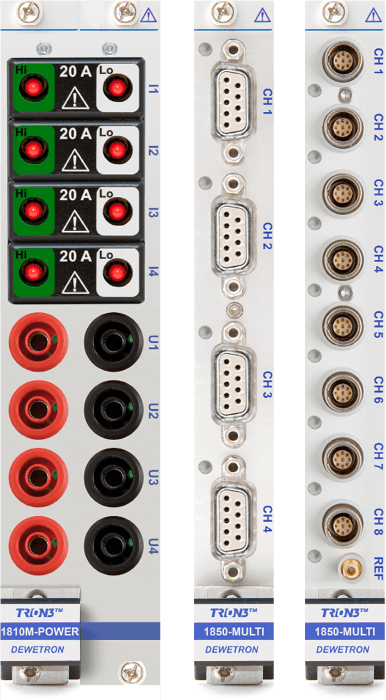 Modular Smart Interfaces expand the functionality of bridge and voltage amplifiers. Signal conditioning chassis for our isolation amplifiers, which can be used for additional channels for measurement systems. Isolated, single channel amplifiers with simultaneous sampling – from quasi-static up to 2 MHz bandwidth. 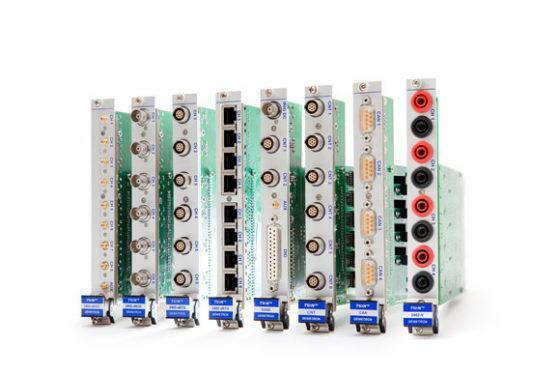 A Signal Conditioner is the cornerstone for all data acquisition instruments and devices. Before any data acquisition can begin, a signal from a sensor or transducer must be accurately recorded. In order to be accurate, a signal must be “conditioned” into a suitable form for processing by data acquisition equipment. With this in mind, DC Voltage and current, AC Voltage and current, frequency and electric charge are common signal inputs acquired by signal conditioners. The process of signal conditioning most commonly includes amplification, filtering, analog to digital converting, range matching, and isolation. To illustrate, imagine measuring a voltage signal smaller than a few millivolts. Chances are the measurement will be more accurate if the signal is amplified before being acquired. To put it another way, noise contamination is the bane of the measurement technician’s existence. Filtering the contaminated signals with signal conditioners renders the signal usable for data analysis. Equally important, user exchangeable TRION™ modules are suitable for a wide variety of sensors, including strain gages, accelerometers, force sensors, pressure, load and flow sensors, thermocouples, as well as voltages and currents. Moreover, turn any DEWETRON data acquisition system into a Power Analyzer with the TRION-1820-POWER-4 signal conditioner module. 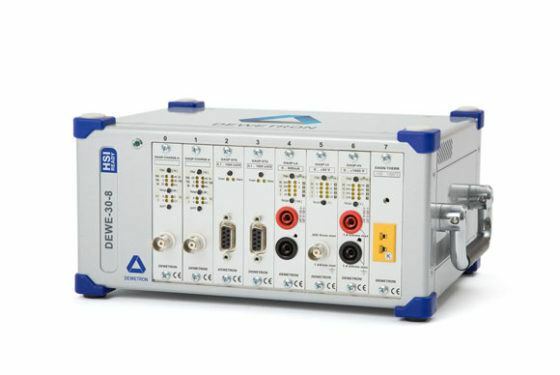 Eight ISO channels, Voltage up to 2000 V, Current up to 20 A direct input, Current >20A, Current Clamp, 5000 kHz bandwidth, 18 bit output and a sampling rate of 2000 kS/s all in a housing supporting Banana and D-DUB-9 connectors.